With the GREAT BUYS that we have seen EARLY this year, there is NO WAY that I would be waiting until December to start my holiday shopping. 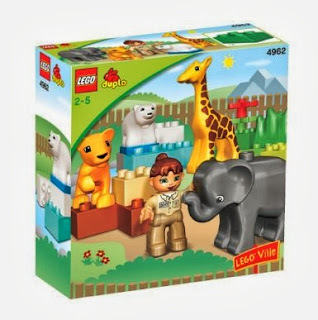 Right now, Amazon has the Lego Duplo Ville Baby Zoo for ONLY $9.99. As you know, Amazon prices can change at any time. It was 8.79 last week.